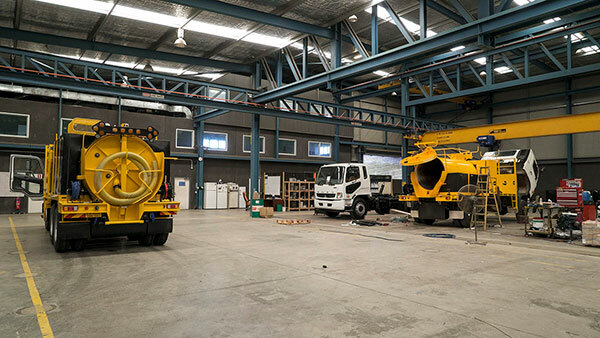 Specially designed to suit New Zealand's geography and soil conditions, Vac-U-Digga NZ's patented 3,000L Vac-U-Digga vacuum trucks which are available for hire utilise high-pressure water combined with the latest vacuum excavation technology. We can safely remove material from and around water, sewerage and gas pipes, telecommunication lines and any other underground assets. This state of the art hydro excavation equipment provides an efficient, cost-effective and importantly a safe method of excavating around and exposing subsurface assets with an extremely high level of accuracy and reliability. Our professional vac truck operators, supported by our reputable Vac-U-Digga trucks for hire, can meet the demands and surpass even the most complex requests. Our hydro vacuum trucks have distinctively been designed in the local region. Our Vac-U-Digga trucks are the perfect machine to tackle any hydro excavations, non-destructive excavations, potholing, digging drains and removing and relocating earth around already laid pipes or cables. Our vac trucks use a suction method and then stores the earth inside before relocating or replacing it. With bases in Auckland, Christchurch and Wellington, we can service your next hydro vacuum excavation project anywhere in New Zealand. You know you will be safe hands with our trusted and professional operators with years of experiences. Our 3,000L hydro excavation units are available to hire 24 hours a day and 7 days per week. Contact Vac-U-Digga NZ today on 0508 822834 to hire one of our patented 3,000L Vac-U-Digga vac truck with one of our professional operators today. We can also discuss options and solutions for all your hydro vacuum excavations needs.